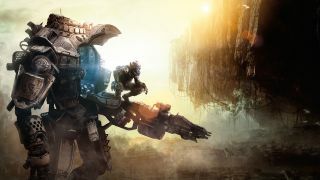 All Xbox One owners now have the opportunity to sample the most-anticipated game of the new generation, with Respawn Entertainment opening up the Titanfall multiplayer test beta. The announcement comes following an outcry from users unable to jump in on the closed beta, which launched for a limited number of early birds last week. As a result the developers are taking the opportunity to better stress test the game and appease those baying to get in on the action. On Saturday, Respawn founder Vince Zampella tweeted: "Ok, just heard from [programmer Jon Shiring]. His words are 'Let's break it', so the plan is to make the beta fully open and have you max stress it!" Zampella later added that PC gamers will probably get access before the weekend is out. Xbox Live chief Larry Hyrb (aka Major Nelson) said in his blog, the Titanfall beta can now be found in the new demos section on the console. Have at it, folks. The full version of the game is due out on Xbox One, Xbox 360 and PC on March 11.